The set of all partitions of a set can be partially ordered by refinement. A partition ... is a refinement of partition ... if every subset inside ... fits inside a subset of ... . For example, ... is a refinement of ... ; but ... is not because the subset ... is itself not contained in either subset of ... . 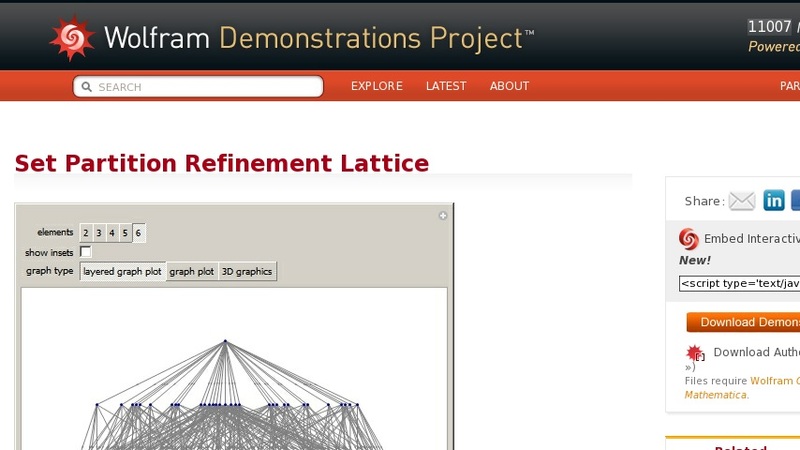 This Demonstration shows the lattice formed by all the sets of partitions of a given set ordered by refinement.